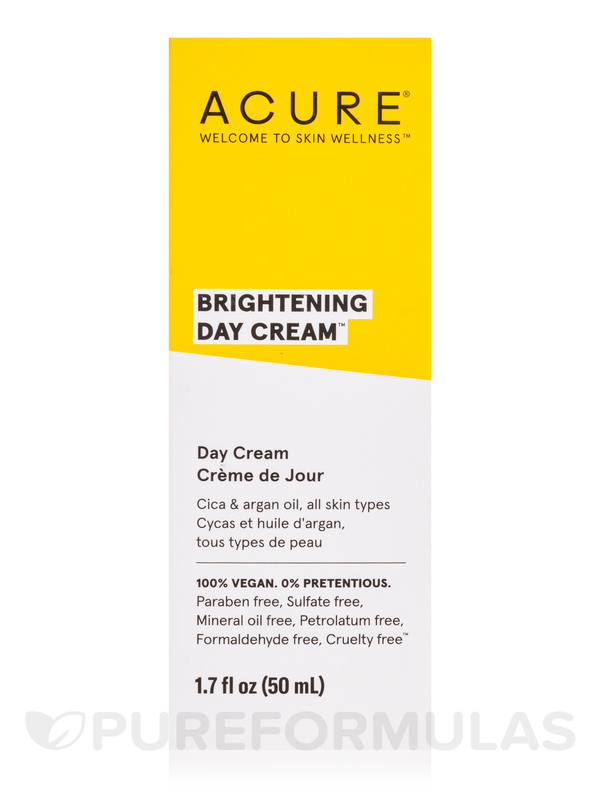 Day Cream Gotu Kola Stem Cell by Acure Organics is easy to put on. smell good. Not greasy at all. give light moisturize. I love the ingredients in Day Cream Gotu Kola Stem Cell by Acure Organics and the consistency the way it goes when I apply my fondation. Day Cream Gotu Kola Stem Cell + 1% CGF by Acure Organics is one of the few creams my sensitive skin can handle. :) A pump dispenser is a plus too. 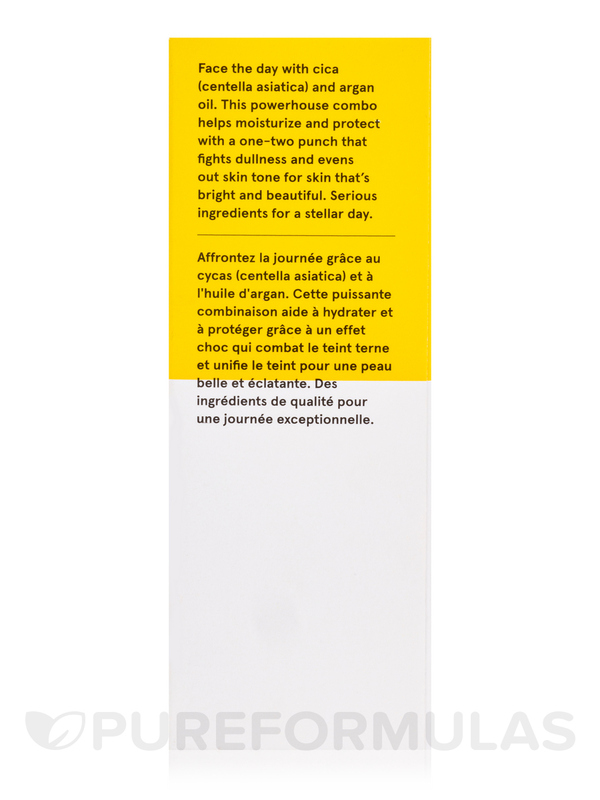 Face the day with cica (centella asiatica) and argan oil. 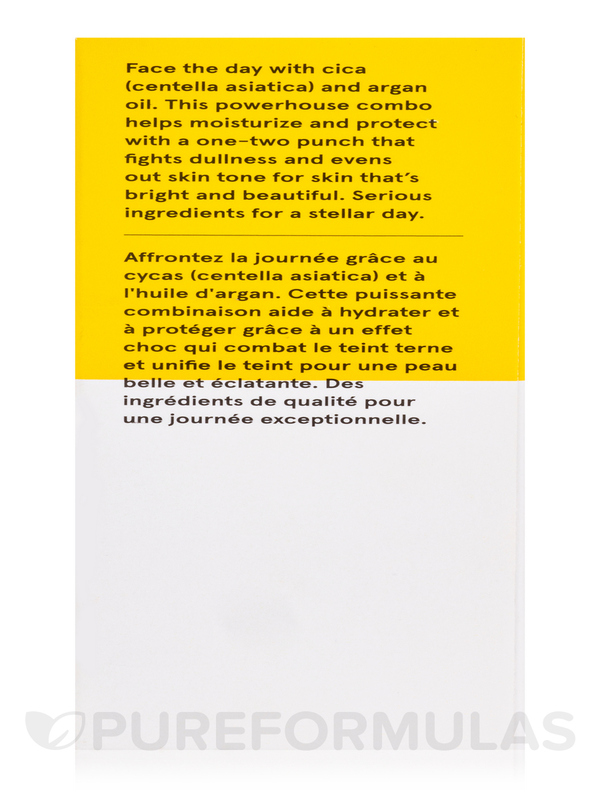 This powerhouse combo helps moisturize and protect with a one-two punch that fights dullness and evens out skin tone for skin that’s bright and beautiful. Serious ingredients for a stellar day. 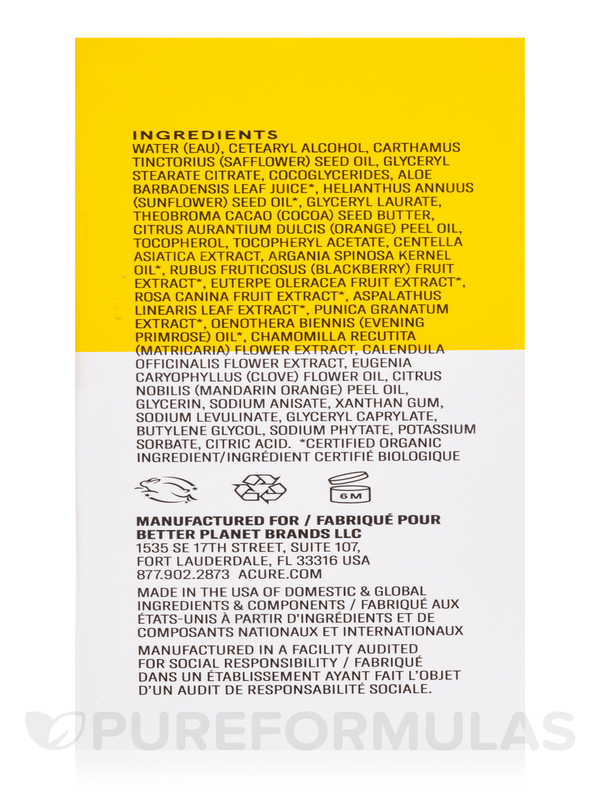 Water (aqua)‚ cetearyl alcohol‚ glyceryl stearate citrate‚ carthamus tinctorius (safflower) seed oil‚ cocos nucifera (coconut) oil‚ theobroma cacao (cocoa) seed butter‚ cocoglycerides‚ glycerin‚ helianthus annuus (sunflower) seed oil‚ citrus aurantium dulcis (orange) peel oil‚ glyceryl laurate‚ olea europaea (olive) fruit oil‚ citrus nobilis (mandarin orange) peel oil‚ potassium sorbate‚ glyceryl caprylate‚ oenothera biennis (evening primrose) oil‚ tocopheryl acetate‚ sodium levulinate‚ alcohol‚ citric acid‚ calendula officinalis flower extract‚ aloe barbadensis leaf juice‚ glycine soja (soybean) oil‚ tocopherol‚ eugenia caryophyllus (clove) leaf oil‚ aspalathus linearis (rooibos) leaf extract‚ chamomilla recutita (matricaria) flower extract‚ euterpe oleracea (acai) fruit extract‚ punica granatum extract‚ rosa canina fruit extract‚ rubus fruticosus (blackberry) fruit extract‚ argania spinosa kernel (argan) oil‚ centella asiatica (cica) leaf extract‚ echinacea angustifolia extract‚ marrubium vulgare meristem cell culture‚ xanthan gum. 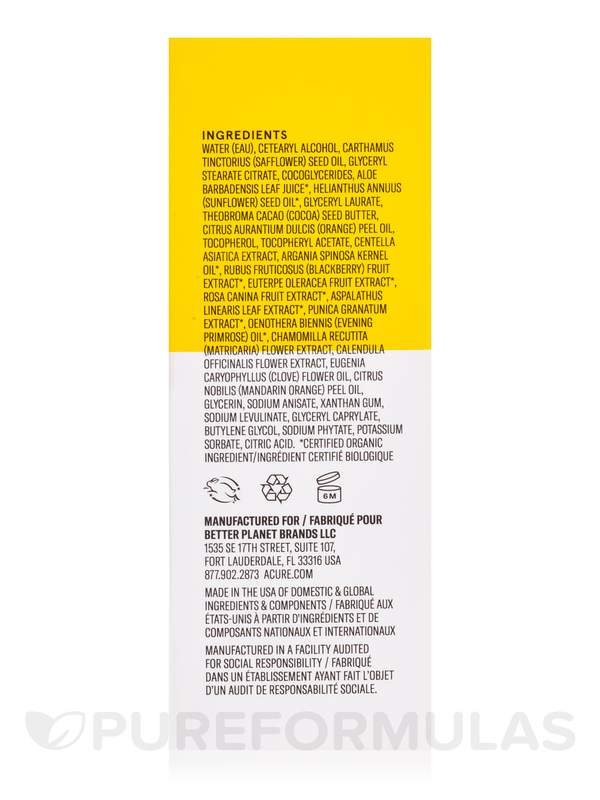 Vegan / Vegetarian / Paraben-Free / Sulfate-Free / Mineral Oil-Free / Petrolatum-Free / Silicone-Free / Cruelty-Free. Apply to face‚ neck and decollete after cleansing and toning. Day Cream Gotu Kola Stem Cell + 1% CGF by Acure Organics is overall good, but I live in Alaska, so natural is not enough seems. I still have peeling when it's cold and dry outside. However, if you live in a warm place, this is probably the one. 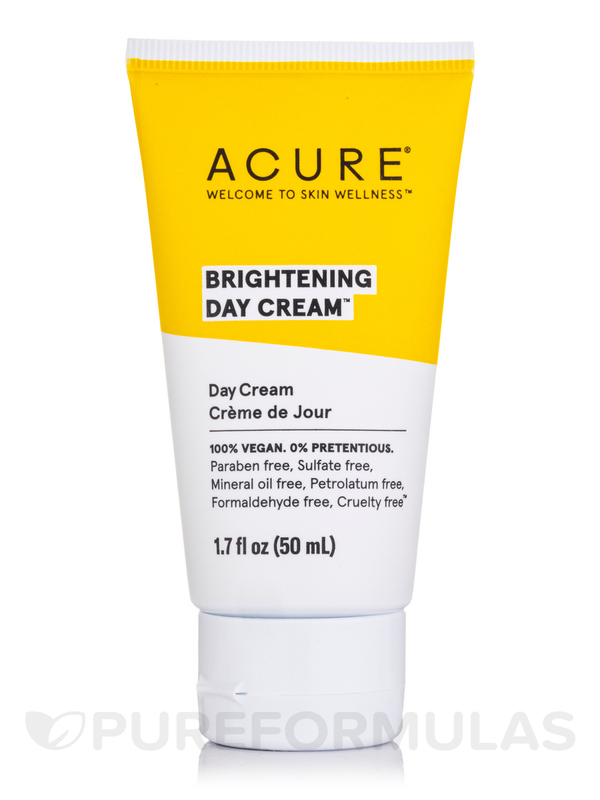 I had been watching Day Cream Gotu Kola Stem Cell + 1% CGF by Acure Organics forever, and finally decided to purchase it when I found it on sale. 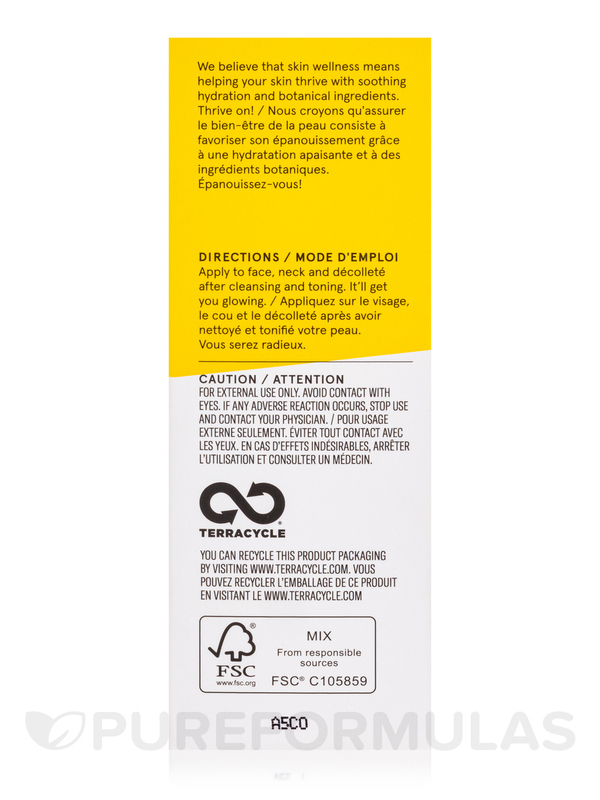 First off, this product has a sweet, but not overwhelming smell to it, which is great. However, I have really dry skin and have been having to use Clinique's Moisture Surge moisturizer recently. This moisturizer just didn't provide my skin with enough moisture. I would have to apply 2 or 3 times after I washed my face to get the tightness to leave. Since this is a very small tube, this annoyed me. I would say this moisturizer would work great if you have combination or maybe even oily skin. I also didn't like that this is a day time moisturizer without sunscreen. 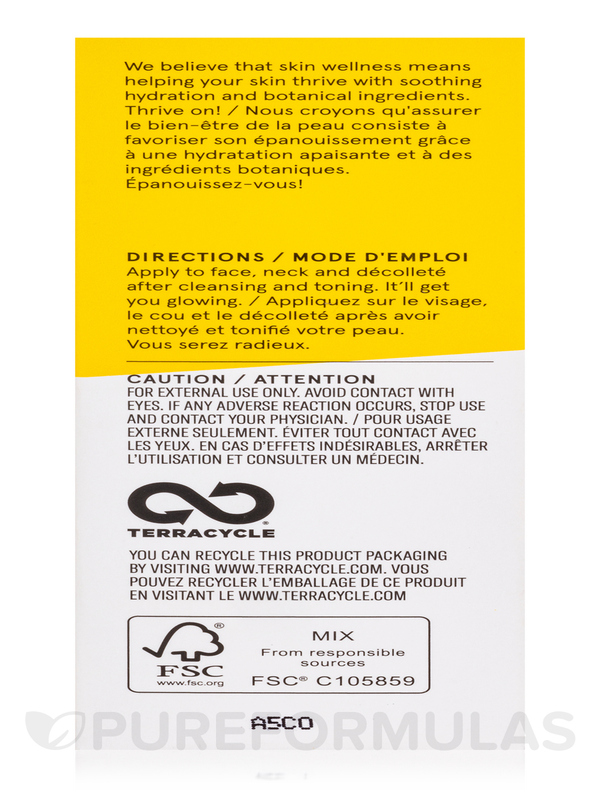 Not moisturizing enough for dry skin, and contains no sunscreen. 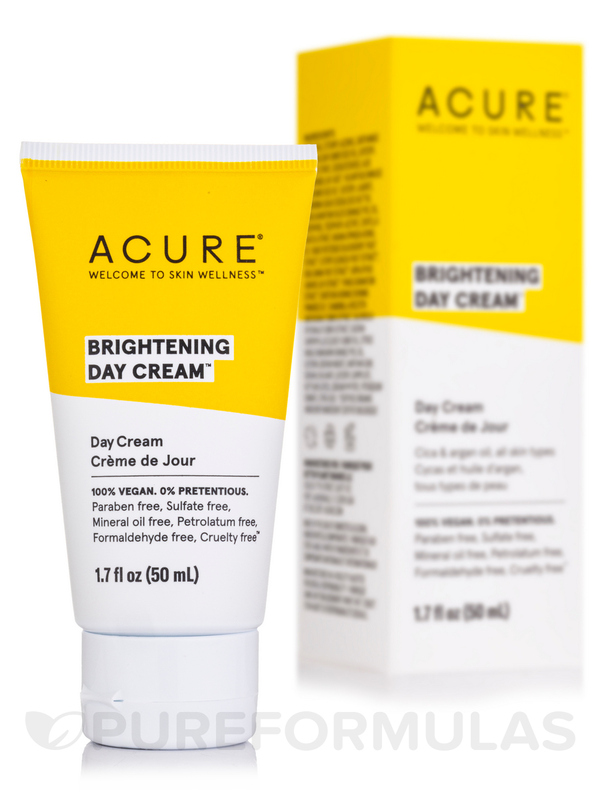 Great daycream for daily use! 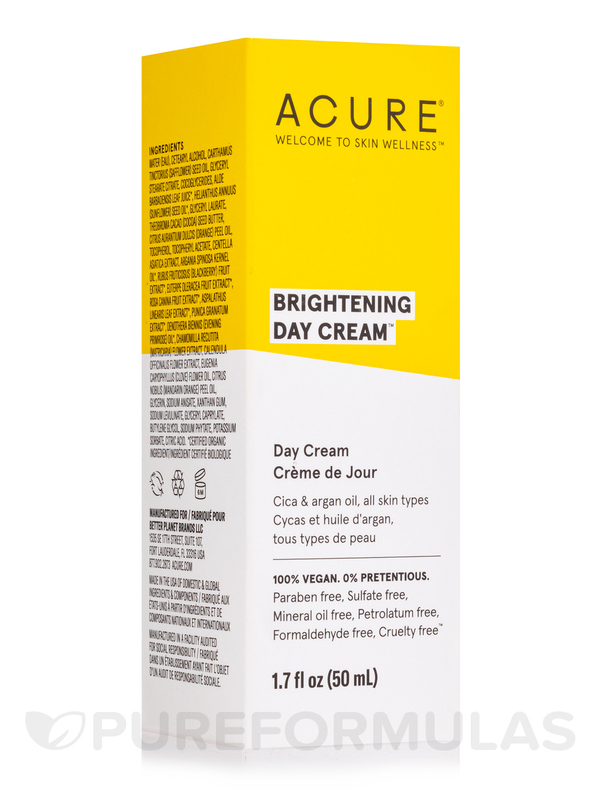 Day Cream Gotu Kola Stem Cell+ 1% by Acure Organics moisturizes well and I love the scent! Cruelty free vegan paraben free phthalate free sulfate free gluten free Made in the USA!